MADISON — Using cake as a canvas with frostings as her medium, Pauline McFarlin’s artistic creations are always sweet, inspired and one-of-a-kind. More people now have an opportunity to experience McFarlin’s made-from-scratch baked goods at the Dessert Fork, in the Medical Park Station shopping area off U.S. 72 in Madison. It’s between the Beef Jerky Outlet and Hollywood Feed. “People will come here for something to eat out of the case, ready made,” McFarlin said. 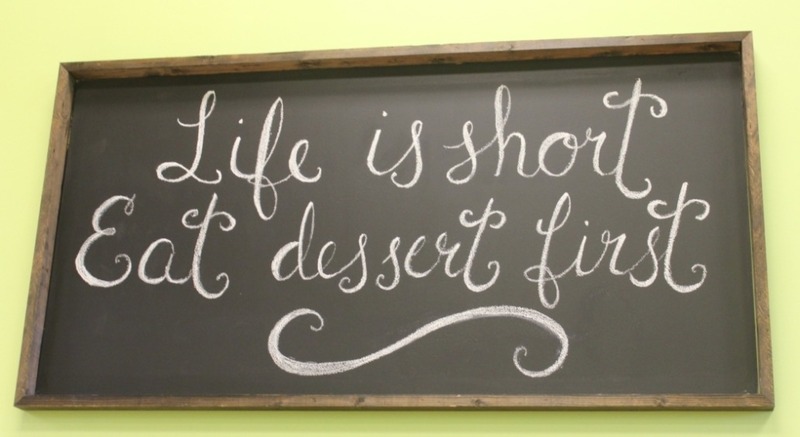 That will include brownies, lemon bars, cookies, gourmet caramel dipped apples, and pies, to name a few. Then there will be off the menu seasonal or exotic items from time to time. She knows she has to have to have people’s favorites, but also offer some variety. Now that she has an established bakery, more people will get to know McFarlin’s specialty — artisan cakes. She will have a small staff to help with baking, but decorating cakes is McFarlin’s passion. Getting a custom cake from McFarlin is not as simple as filling out a piece of paper with cake and icing type. She likes to get to know the person or situation. For example, one of her most memorable cakes involved a photographer who was celebrating her 40th birthday. McFarlin said she had the client provide a picture of her camera and send her four of her all-time favorite photographs. The result was a square cake topped with a smaller cake, which was crafted into a replica of the camera. The four photos were place around the bottom layer, connected by a sugar string that resembled a darkroom string with each of the four photos hanging off it. To McFarlin, each cake is as individual as the person. “I like to interact with them, I take a lot of time to get to know them and what they want,” she said. “A lot of times, after they receive the cake they are so happy they give me hugs and we have a relationship that was built with the common thing being cake. Over the past 10 years, McFarlin went from baking cakes for church gatherings, which lead to church members asking her to bake a cake for their family’s different special occasions. It got to be a regular thing. Alabama’s Food Cottage Law came about in 2014, allowing her to get training and start a business out of her home. More training, business coaching, and guidance from other local bakers helped her step out and open The Dessert Fork. “Well, it’s the only fork you’re going to need,” McFarlin said with a chuckle as she explained why she chose the name. It represents her cakes but other treats she’ll offer as her business grows. McFarlin, 44, said her husband and three kids moved to the Huntsville area from Maryland in 2008. She says her family has been supportive as she left real estate to become an artisan cake designer. She wants The Dessert Fork to be a nostalgic place to create fond memories. So out of all of the delicious treats coming from the oven, what is McFarlin’s favorite?